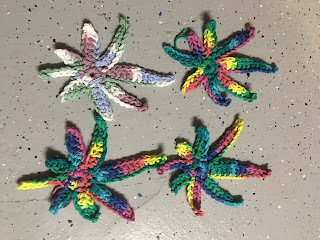 these crochet marijuana leafs are so much fun to make and work up incredibly fast i made these out of lily sugar n cream Psychedelic and mod. I love these and will be making many many more in the future. 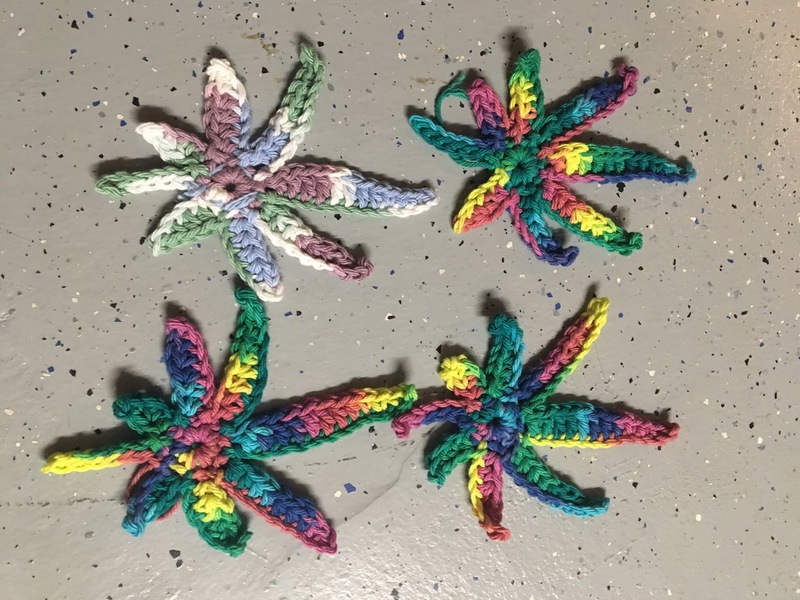 im not entirely sure what to do with them yet but i think they would look good on potholders and as appliques on scarves and hats.